i. Biography.—John Dryden was the son of Erasmus, the third son of Sir Erasmus Dryden, and was born at Aid winkle, All Saints, Northants, Aug. 9, 1631. He was educated under Dr. Busby at Westminster, and entered Trip. College, Cambridge, in 1650. He took his B.A. in 1654, and resided nearly 7 years, though without a fellowship. He was of Puritan blood on both his father's and mother's side, and his training found expression in his first great poem, Heroic Stanzas on the death of Oliver Cromwell, 1658. In 1660, however, he turned, like the bulk of England, Royalist, and in his Astraea Redux, and in A Panegyric on the Coronation (1661), celebrated the Restoration. In 1663 he married Lady Elizabeth Howard. The marriage was apparently not a happy one; and there seems to be plain proof of Dryden's unfaithfulness. In 1670 he was made Poet Laureate and Historiographer Royal, and he retained these posts until the accession of William (1688). He had joined the Roman Church in 1685, and remained steadfast to it at the fall of James II. This change is of special significance, as will appear below, in regard to his translations from the Latin. It greatly straitened his means, and compelled him to great literary exertion in his closing years. He died May 18, 1701, and was buried in Westminster Abbey. ii. Hymn Translations. — Until recently, Dryden's known contributions to hymnody consisted of only three pieces. The best known of these is the translation of “Veni Creator," published in vol. iii. of his Miscellanies, in 1693. Sir Walter Scott, in his Life of Dryden, 1808, published a translation of the "Te Deum " ("Thee Sovereign God our grateful accents praise"), and a translation of "Ut queant laxis," the hymn at Evensong for St. John the Baptist's Day (Scott calls it "St. John's Eve") ("O sylvan Prophet "). Mr. W. T. Brooke has pointed out one or two facts that slightly shake Scott's attribution of these two pieces to Dryden. He has discovered the translation of the "Te Deum” in Dodd's Christian's Magazine, 1760, contributed by J. Duncombe, and attributed to Pope. And Scott's account of the two pieces is confused. He received them from a Mrs. Jackson, who told him that they were mentioned in Butler's “Tour through Italy," and that after Butler's death they passed into the hands of the celebrated Dr. Alban, and so came to hers. They are not however mentioned in the published edition of Butler's Tour; and "Butler" and "Dr. Alban" are the same person—-Dr. Alban Butler, author of The Lives of the Saints. Alban Butler's Tour was edited and published by Charles Butler, his nephew, who also wrote a Life of Alban Butler. The confusion cannot now be unravelled: but is not enough to discredit Scott's decision, which may have rested on the handwriting. The translation of the "Te Deum" is not like Pope, and has a Drydenesque Alexandrine in it, and other marks of Dryden's manner. One great Roman Catholic poet was perhaps confused with the other. The translation in Scott, "0 sylvan Prophet," is in a metre unknown to previous editions of the Primer; and there are altogether 11 translations generally representing Latin Sapphics, in the book in this metre. Five of these translations have a further internal link in having the same gloria, three in having another common gloria. The presumption is irresistible that they are all by the author of "0 sylvan Prophet." Again, the translation of the "Te Deum " (also in Scott) is one of 8 pieces in Dryden's great metre, which is also new to the Primers' heroic couplets. Though not linked by common glorias, the tone of all these is Drydenesque, especially the translation of "Sacris Solemniis," which has these characteristic lines, "They eat the Lamb with legal rites and gave Their mother synagogue a decent grave," and closes with an Alexandrine. The translation "Creator Spirit, by Whose aid" is followed by two others in the same metre, which have a variation (in a single word) of its gloria. The three known hymns of Dryden are thus heads of groups presumptively of the same parentage. Proceeding further in the book, the large group of 8-syllable hymns exhibits 35, which are curiously marked as by a single band through their glorias (see Primers). They have several Drydenesque phrases (e.g. "noon of night,” “gleamy white," a technical use of "yielding," “liquid," "equal"), turns of expression and cadences, and a significant link with the translation of the "Te Deum" in the term “vocal blood" (cf. "vocal tears" in 2 other translations) found in the translation of "Deus tuorum militum." This technical method of inquiry when applied still further to other groups linked by a single gloria certainly points in the same direction; Drydenisms, links with groups already named, an occasional appearance of layman freedom of expression, and in one case (“Audit tyrannus" tr. ), an echo of the heroic plays, emerge. The least characteristic group is that containing translations of "Ave maris stella" and "Jesu dulcis memoria," in C.M. ; and the latter translation ("Jesu, the only thought of Thee"), beautiful as it is, is in the main only the translation from the Primer of 1685 recast in C.M. But the adoption of C.M.—-a new metre in these Primers—-would be natural in one previously long familiar with the metrical Psalms; the translation of “Ave maris stella" has the recurrent use of "equal," which is a mannerism of Dryden: and the word "way " in the translation of "Jesu dulcis memoria" is used similarly in that of "Immense coeli conditor." (1) The translations of "Stabat Mater " and "Dies Irae" are reprinted from the Primer of 1687. This fact is of course not decisive against their parentage by Dryden, as it may be argued, that the Primer of 1687 also contains Dryden translations. But (2) the translation of the "Dies Irae "seems to be, notwithstanding some Drydenesque phrases, by Lord Roscommon. It is found in a text considerably varied from that of 1706 in Tate's Miscellanea Sacra 1696 and 1698); and is there attributed to Lord Roscommon. It appears also, but in a text identical with that of 1706, in Tonson's Poems by The Earl of Roscommon, 1717, which professes to give only the "truly genuine" poems of the Earl. If this translation is not Dryden's, others also may not be his. And (3) the Primer of B. V. M. in which these translations are found did not appear till five years after Dryden's death; and may have been edited by some one else. Mr. W. T. Brooke has drawn attention to variations in the text of Scott from that of the Primer; which may be accounted for by editorial revision; and the editor may have had blanks to fill in which Dryden had left. It would be most natural to suppose that the Primer would be edited by a priest; but the fact that it is difficult to say whether the text in Scott or in the Primer is the more characteristic of Dryden either points to the existence of two authentic texts of the poet, or a revision by someone thoroughly intimate with Dryden's manner, e.g. 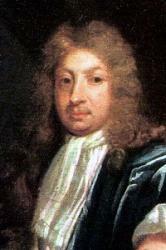 (as Mr. Brooke acutely conjectures), Charles Dryden, who may have taken his father's manuscripts with him to Rome. The argument in favour of Dryden is presented with great force and skill by Mr. Orby Shipley in the Dublin Review, October, 1884, and in the preface to his Annus Sanctus. No hymnals are associated with this person.